Some time ago i posted on Matthew Roby’s “Rebel Rider” print that was available on Etsy. It’s a fun print that i still need to pick up. 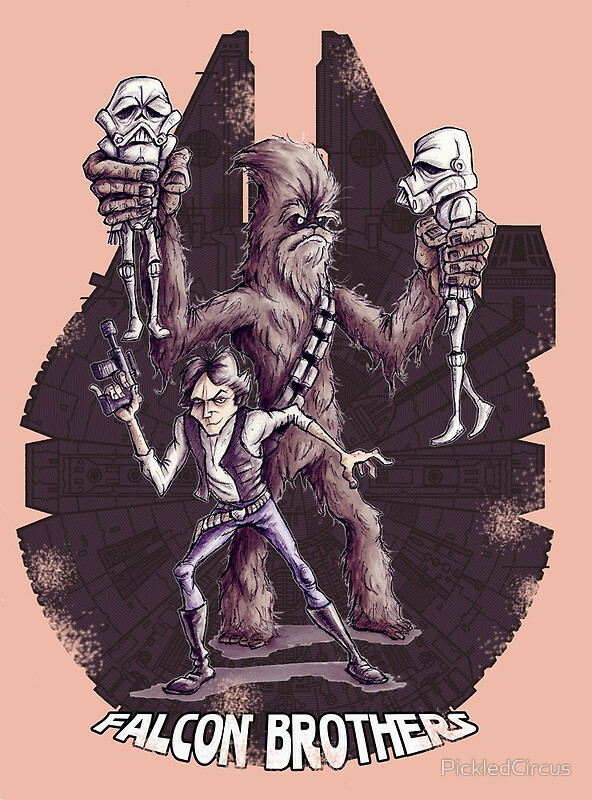 On redbubble is this “Falcon Brothers” tee shirt which has the same style and sense of fun about it. Nice to see that he’s kept the detail in the Falcon and it’s not just a silhouette. 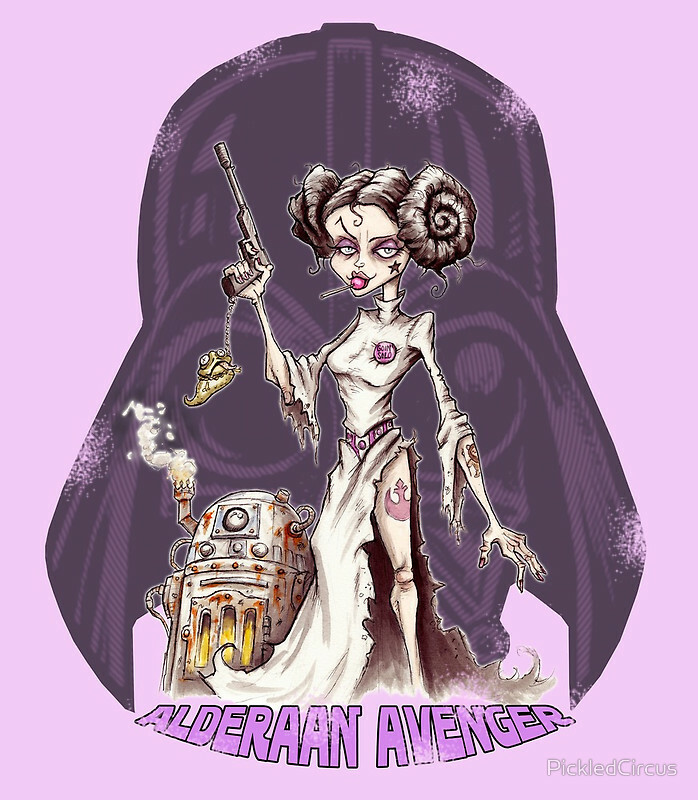 “Alderaan Avenger” featuring Princess Leia, a very steam punk Artoo Detoo and Darth Vader. 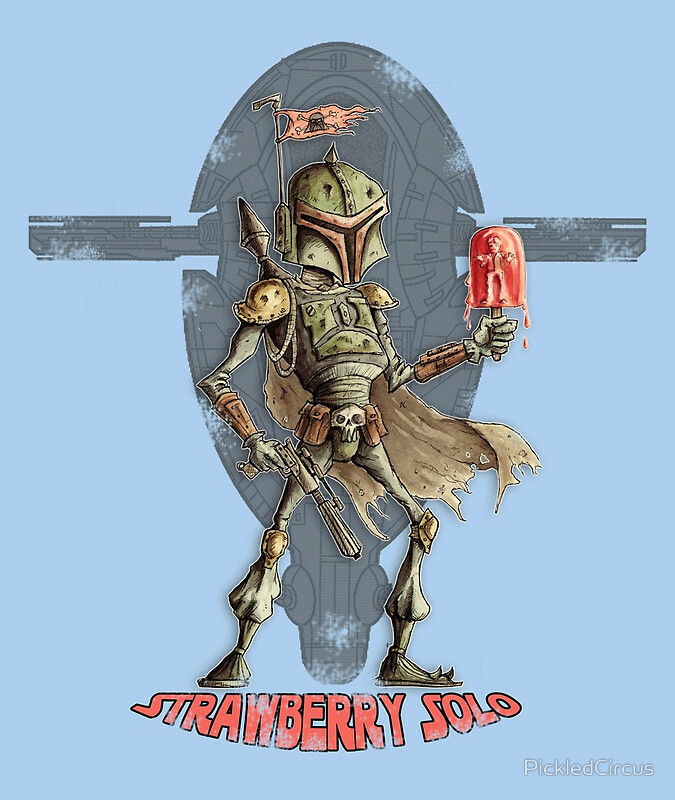 “Death Trap” with a rather odd looking Admial Ackbar. They’re available at his Pickled Circus shop. 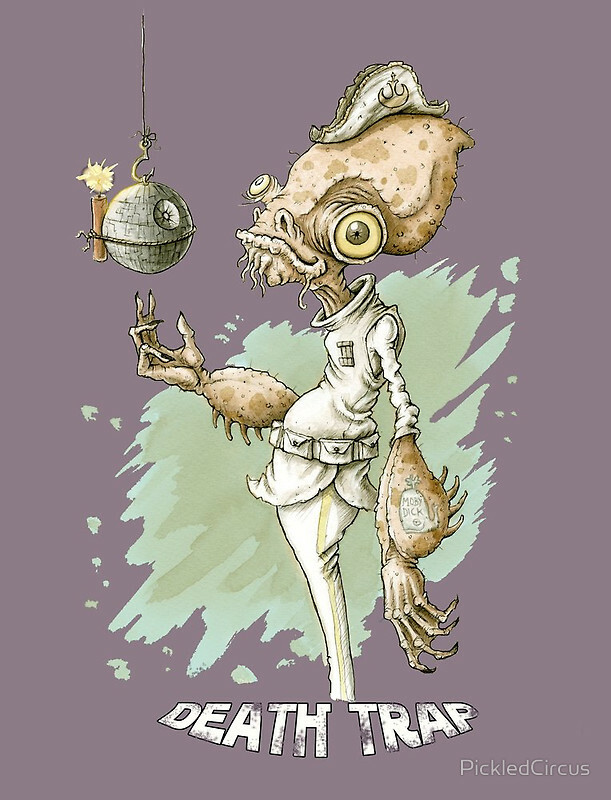 This entry was posted in Art, Tee Shirts, Things that i don't have yet... and tagged Admiral Ackbar, Art, Boba Fett, Chewbacca, Darth Vader, Han Solo, Leia, Matthew Roby, Millenium Falcon, Millennium Falcon, R2 D2, Slave 1, Star Wars. Bookmark the permalink.